If you walked past Phillips auction house on Park Avenue in midtown Manhattan last week and spotted the large banners in the window touting Lauren Adriana’s jewelry exhibition you might have wondered, who is she? If you are in London and stroll past Phillips on Berkeley Square this week, where the show of 50 of the designer’s archive pieces and items for sale will be on view for five days, you might have the same question. Even if you follow fine jewelry news closely you may not be familiar with the name Lauren Adriana. The 32-year-old English jewelry designer has only been in business for five years and has, for the most part, flown under the radar. The first time, I caught a glimpse of Lauren’s work was four years ago when she created a pair of sensational earrings for Lee Sigelson. The vintage jewelry dealer who is known for his museum quality inventory had presented Lauren with some extraordinary materials—two-pear shape spinels weighing around 35-carats each and a handful of natural pearls—to make the designs. Lee exhibited the imaginative jewels at the 2014 Masterpiece show in London. A year or so later when Lauren’s jewelry became available exclusively at Fred Leighton, the vintage New York emporium that carries a few select contemporary labels, I had the opportunity to meet the designer. At that point, Lauren had developed the collection to the style that’s on display at Phillips. Working in the classical mode of production, Lauren carefully draws each piece. Every design is one-of-a-kind. 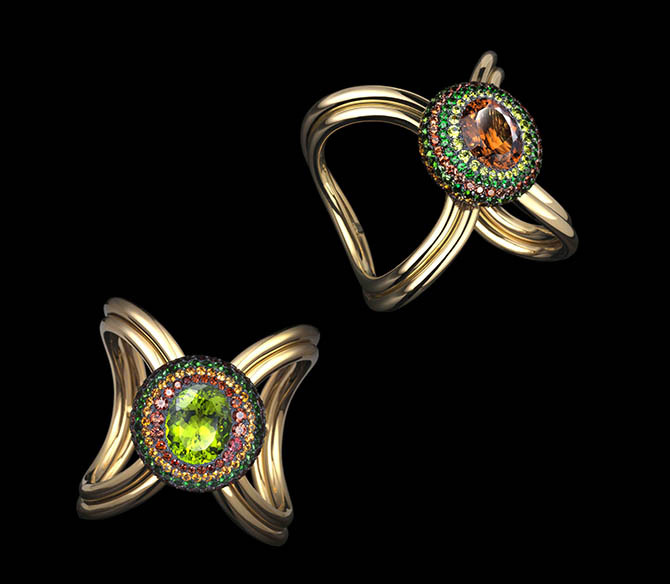 They are all masterfully crafted in colorful and rare precious and semiprecious gems. One thing I remember vividly about the meeting was the exceptional quality of the pavé work. When I ran my hands over it, I could not feel one prong. It was completely smooth. Another element of the meeting that stood out was that Lauren did not want any press at the time. She was just beginning to show her work and wanted to control every element of the presentation. Like so many designers, Lauren fell in love with gemstones at a very young age, then she discovered jewelry history. 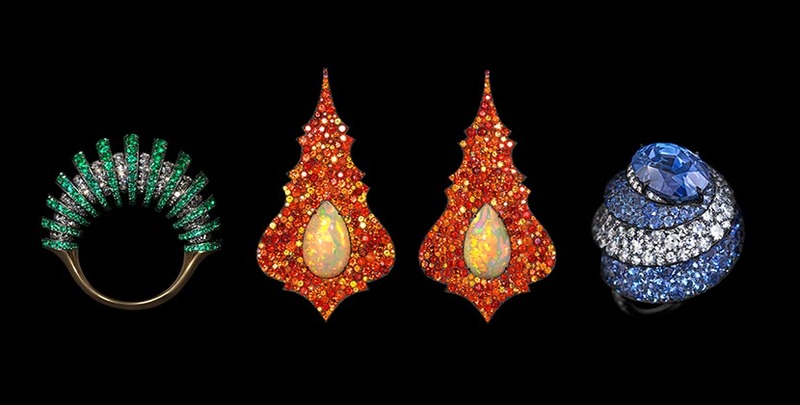 At 15, she came across the work of Fulco di Verdura through the 2002 monograph on the designer, Verdura: The Life and Work of a Master Jeweler. 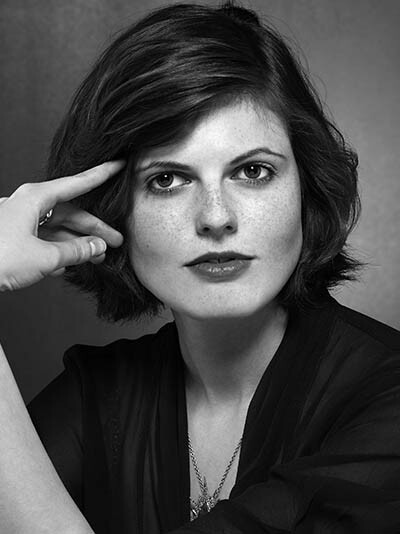 Determined to become a jewelry designer, she went on to attend the rigorous courses at London’s esteemed design school Central Saint Martins that has produced prodigious jewelry talents including Fernando Jorge and Ana Khouri. When it comes to describing her sources of inspiration, Lauren reaches back in time to iconic names such as, Verdura, Suzanne Belperron and Sterlé. 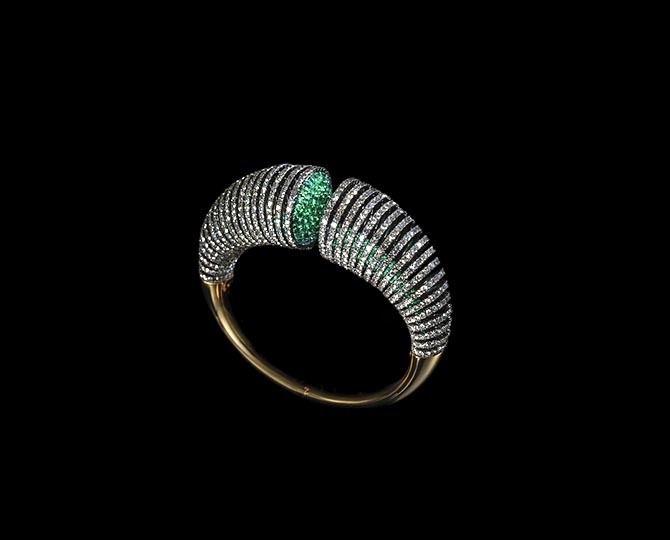 She enjoys the graphic elements of Native American jewelry, something Louis Cartier also appreciated. She is adamant about not using nature as a reference because she believes it’s old-fashion. Instead the designer focuses on futuristic geometry. In some instances, she shows her love of jewelry history by modernizing classic silhouettes such as girandole earrings or Maltese crosses. She is clear about the fact that she doesn’t create collections but individual pieces. “I find the idea of having a design signature very alien, because it is more of a language,” Lauren explained at a panel discussion at Phillips. One of the most distinguishing characteristics of Lauren’s language is her colorful pavé. 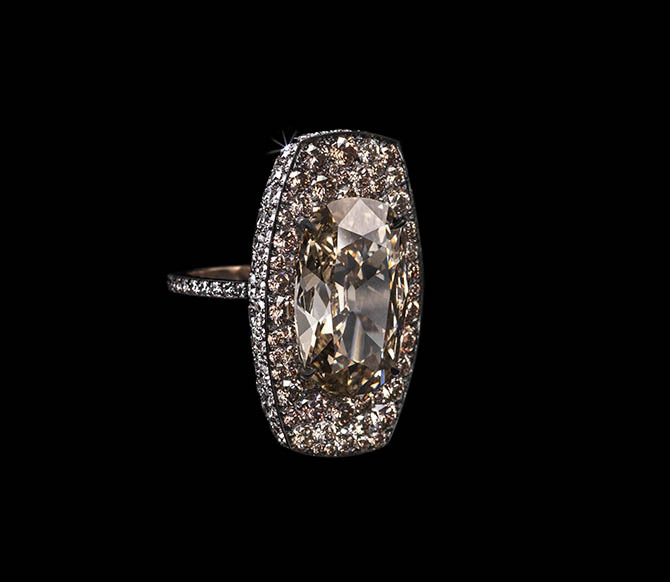 It’s a design choice that puts her squarely within the ballpark of the most esteemed jeweler of modern times, JAR. Joel Arthur Rosenthal, the American designer who lives and works in Paris, popularized colorful pavé, a technique that has roots stretching back to at least the late 19th century. Other elements that elevate Lauren’s work to the stratosphere status of the jewelry world is the quality of the craftsmanship and super limited production. She only produces around 20 pieces a year. “Everything is intentional in her DNA,” explains Lee Sigelson. 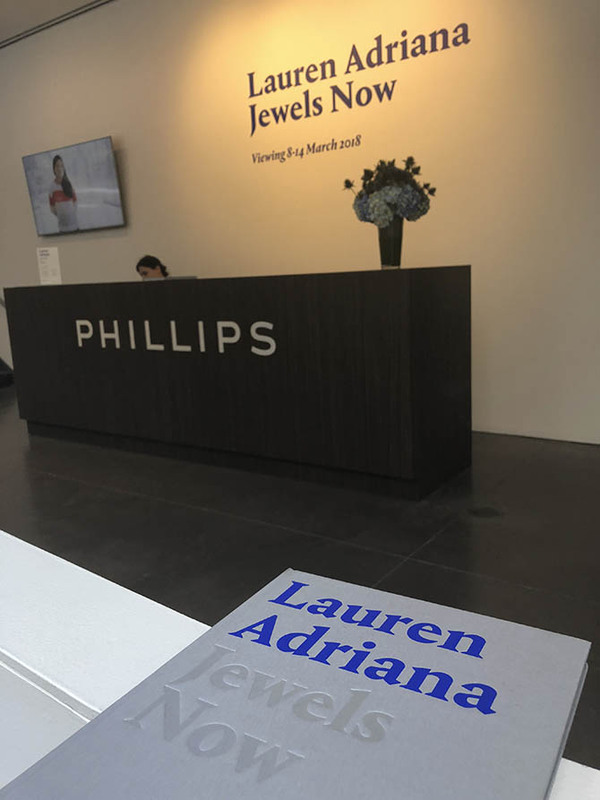 The cult following Lauren has established in just five years and the landmark exhibition at Phillips means in the future no jeweler lover will be wondering who she is. They will all know her name. 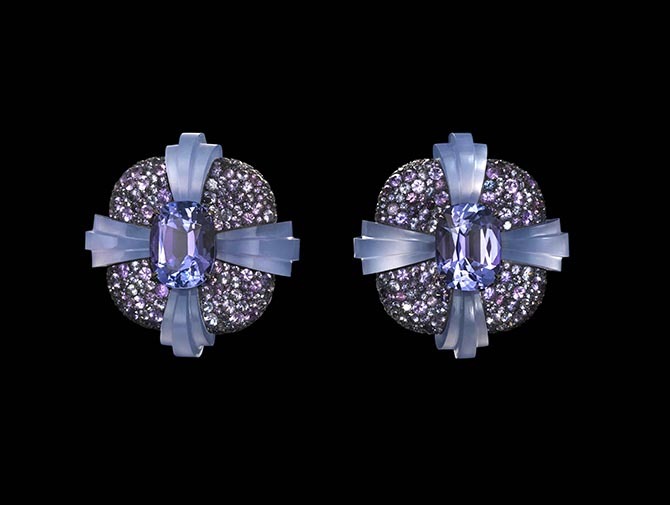 See Lauren Adriana: Jewels Now at Phillips in London. The exhibit will be open until March 25. Also grab a copy of the catalogue by the same title available on the Phillips website. It’s guaranteed to become a collector’s item.